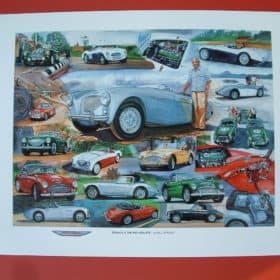 Gifts for Austin Healey, Jaguar, Lotus, Morgan, MG, Triumph and other British sportscar owners! This Holiday give them gifts they can’t find anywhere else! Below are some gifts they are sure to love. Sit down with a good book. 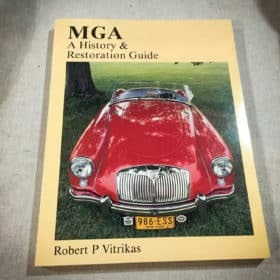 From Haynes Manuals to the history of your car. From factory dealer posters to brochures. Many of these items are no longer in print and when they are gone they’re gone! These unique prints will be their favorite gift yet! Sports & Classics has created the exclusive line of seat belts for Austin Healey, Jaguar, Lotus, MG, Morgan and Triumph. This year we added the Jaguar iconic cat head and the Lotus black and gold logo to the family. With these vintage chrome buckles this belt is not only safe and correct, but stylish!